From all over the state, our members and survivors look to the Brain Injury Association of New York State for guidance and support. This road to support may lead us to many different destinations: to a support group in Buffalo, a chapter in New York City or an advocate in Syracuse. Many will then travel to Saratoga to find the comradery of fellow survivors and attend our Annual Conference through our Scholarship Program. Your contribution can help make that happen. Help us pave the way to ensure all members have the opportunity to attend the Annual Conference and reach their full potential. 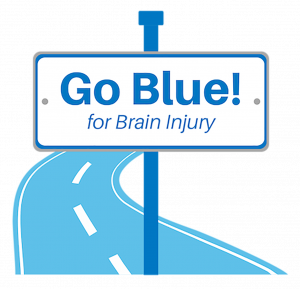 During Brain Injury Awareness Month this March, you can Go Blue! for Brain Injury and gather your coworkers and choose a day – or the entire month – for your company to raise money while sharing information and experiences about brain injury. If not, would you like more information on becoming a member?